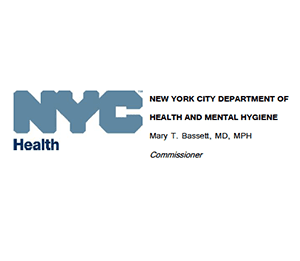 Today, health commissioner Dr. Mary T. Bassett ordered New York City building owners to disinfect their cooling towers within the next two weeks in response to the Bronx outbreak that so far has sickened 100 people and killed 10. Disinfection is warranted for cooling towers that are a suspected source of Legionnaires’ disease or in which high Legionella concentrations are detected. Building operators should be cautioned, though, that studies have shown hyperchlorination with cleaning has only a short-term effect on Legionella bacteria. Studies by Broadbent and Bentham, published in the American Society for Microbiology’s 1993 book Legionella: Current Status and Emerging Perspectives, found that Legionella reappeared usually within one month and sometimes within days after disinfection. A program of regular water treatment, maintenance, and inspections for cooling towers is much more effective than periodic disinfection. The same applies to plumbing systems, whirlpool spas, and other water systems that can harbor Legionella and transmit the bacteria to humans. It is far more protective to continuously manage water systems for Legionella control than to disinfect after Legionella is found – if testing is performed at all – or after someone becomes ill.
That is why a Legionella water management plan is the basis of ANSI/ASHRAE 188-2015 — the Legionella standard released by the American Society of Heating Refrigerating and Air-Conditioning Engineers (ASHRAE) on June 26th — and is the approach encouraged by the World Health Organization (WHO. 2007. Legionella and the prevention of legionellosis. Geneva: World Health Organization). For more than 20 years, government agencies and industry groups have known Legionella bacteria in building water systems can cause Legionnaires’ disease and have agreed that managing water systems in buildings for Legionella control is the best strategy for protecting the public. Moreover, the organizations have published guides and urged building operators to manage their systems properly. With the new ASHRAE standard, there is now a strong consensus, not only about the need for prevention, but about the approach to it. Documents issued by ASHRAE and WHO, as well as the Veteran’s Health Administration, even agree on the essential components that a water management plan should include. Develop a Legionella water management plan (WMP) that is effective in controlling Legionella. Validate the WMP to show it is controlling Legionella. The best way to validate Legionella control in a water system is to test the water for Legionella. Respond to test results appropriately. Adjust the plan based on test results and new scientific findings and then go back to number 2 to continue. Developing and implementing a quality water management plan gives a lot of risk reduction for the cost. No one understands the value better than those who have suffered from Legionnaires’ disease or lost loved ones to it. Building owners win, too, by reducing their legal risk, avoiding revenue interruptions, and protecting their image. Do you have a firsthand account of water management practices that reduced Legionella bacteria? Scientific literature is replete with reports of success, but I’d like to hear your story. Please comment below. My suggestions 1. Hold cooling towers to the same standards as swimming pools, maintenance, disinfection, inspections. Educate maintenance personal on LD (mandatory). Commercial/ Hotel water systems Put a “Kelly” loop in domestic water system. i.e. circulate water with a constant run circulating pump. Circulate from point of last fixture to service in to building. Moving water should help with minimizing Legionella colonization. Install BFP as required. Thank you for the suggestions, Nelson. I agree that a comprehensive plan for managing cooling towers, plumbing systems, and other devices will protect health and life. This is an excellent information that I will definitely pass on to my representatives in the field. They should inform all their current customers and possible prospects. Thank you for passing this information to us. Yes they should definitely inform their customers and prospects of the need to manage all water systems properly, not just cooling towers. Thank you Robb! Excellent information, as always! While it’s sad to see people lose their lives and become sick, perhaps now managers, owners, etc. will take the steps necessary to control the bio-growth in their cooling towers. Thank you Cal. Yes, it is sad. I have been talking the Legionnaires’ survivors and reading their first hand accounts for about 20 years. Hearing their stories highlights the importance of good water management. It affects peoples lives. An excellent blog Matt! The water management plan agreed by ASHRAE, WHO, and the Veteran’s Health Administration is very sensible and should be enforced for all public buildings. I agree with you, a properly planned and managed quality preventive measure is the only way to reduce the risk considerably and it is worth the cost. It is good for the image of the business, too. The problem is that there are still those managers who put cost saving before safety and quality. They should do the research before making a decision and be aware of the cowboys out there who will try to sell systems that are cheap and supposedly don’t need any maintenance or checking – there’s no such thing! Thank you Vera. I agree that building operators need to take action but wisely, and without overspending. I think most want to do the right thing and just need guidance. I agree with your approach. I think there should also exist a legal requirement to maintain cooling towers not just guidelines. Firstly all cooling towers should be registered in a database maintained by the local area council or department and legislation enacted with fines imposed for transgressions. Cooling towers have been associated with Legionnaires disease for nearly 40 years and yet there is no enforcement of treatments of these towers. I hope the increased awareness will lead to responsible and effective water management, even without laws enforcing it. If it doesn’t, best practices will likely become regulated. Thank you for commenting. Thank you for this excellent information. It is surprising at the number of facilities which are either misinformed or choose to ignore the dangers of Legionella bacteria. It is unfortunate that people must die and/or become ill to make people accountable and finally start the process of water management. By sharing this information, you have added one more valid source for people to rely on. Thank you for commenting, Shaun! Thanks Matt. Many will appreciate your ongoing concern to remove Legionnaires’ disease as a potentially fatal affliction. The disease is preventable but it takes a coordinated risk approach that involves answering the known risk factors that promote Legionella multiplication. In this current outbreak cooling towers appear to be the source or sources. I agree that chlorine decontamination is not a stand-alone control mechanism but is essential in an emergency such as being experienced presently. The use of water treatment is essential for providing day to day injury to Legionella. This control is not as simple as it sounds because water treatment must be tailored to each system. For systems involving little water holding but fast turnover (evaporation) one biocide should be fast-acting. A second biocide able to limit growth of biofilm is also needed and may be a conventional slow-acting one. Actual concentrations, if chemical biocides are used, should be field proven as to efficacy. There is much more to water treatment although, in the end, the practices are only those that should be in place for all such systems and are consistent with the need to attend to corrosion control, plant longevity, and minimal energy use. Matt, thank you for publishing worthwhile content. HC INFO is an amazing resource. I have a question about the testing aspect of step #3: in addition to the validation testing, do you think it could be worthwhile for an organization to test for Legionella (or other microbiological activity) in the water system *before* implementation of the plan to set up a water quality BASELINE? Although implementation and validation testing would occur subsequent to the baseline testing whether significant levels of Legionella were detected or not, knowing the status could be beneficial. 1. If the baseline detected significant levels of Legionella, the plan could be augmented to start with corrective actions which could be more aggressive than the ‘normal’ version, potentially resulting in a safer environment at a faster pace. 2. If no significant levels of Legionella were detected, the plan’s parameters or control limits could potentially be fine-tuned as a derivative of the (safe) baseline, thereby making the plan ‘fit’ the facility better and possibly saving resources in the short or long term. 3. Additionally, if the baseline included a broader microbiological activity test (in addition to Legionella), subsequent validation testing could shed more light on the overall efficacy of the plan at a very early stage. Such results could empower the Program Team and benefit internal efforts overall. Of course, there are reasons a BASELINE might not be worthwhile. ASHRAE 188-2015 certainly doesn’t seem to require it. It could be seen as a waste of resources–especially if no significant levels of bacteria were detected and if it had no bearing on fine-tuning the plan. Thanks for your comment, JD. Baseline Legionella testing can be very useful for domestic water (plumbing) systems. For cooling towers, though, at least minimum treatment must commence upon startup per best practices and, in NY, regulations. But baseline testing can be performed shortly after startup. The NY State regulations that became effective July 1, 2016 actually require Legionella testing within two weeks of start-up and then every 90 days of operation.